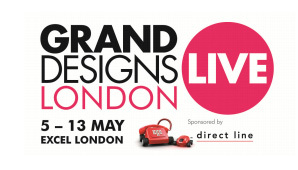 We have a pair of tickets to win for Grand Designs Live taking place in London between 5th-13th May 2012. What year was Granit Architects established? Click here to submit your entry before the deadline of 1st May. Don’t forget to provide your full name, address and contact details. You can also visit the ‘Ask an Expert’ stand at the exhibition for a free 30 minute consultation. Granit’s Robert Wilson and James Munro will be available on Saturday 5th and Saturday 12th and welcome the opportunity of talking with you. Prize includes two tickets for Grand Designs Live taking place at Excel London between 5th and 13th May 2012. Prize draw will take place on 1st May 2012 and the winner will be notified by email. The tickets will only be shipped to a UK address.